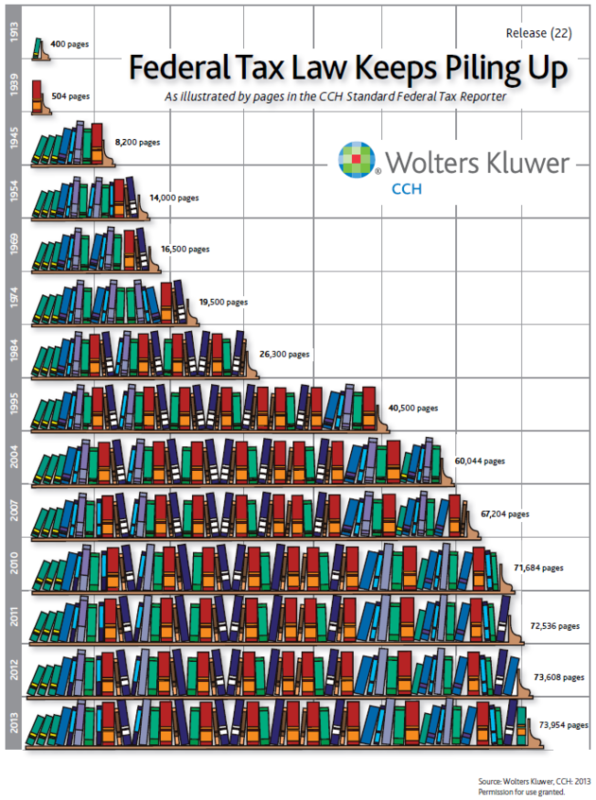 From Wolters Kluwer, the publishers of the CCH Standard Tax Reporter, comes the answer to the perennial question: how long is the U.S. tax code? 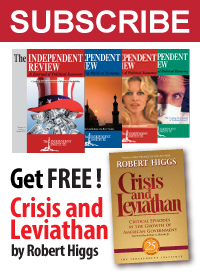 For the 2013 tax year (the one for which you either needed to file to pay your federal income taxes or to file for an extension on April 15, 2014), it takes 73,954 pages of material that is specifically marketed to explain the U.S. federal income tax code to the people who need to know it best: tax professionals. In President Obama’s first two years in office, when his political party also controlled both the U.S. House of Representatives and the U.S. Senate and used its control to impose massive new taxes on the American people like the Patient Protection and Affordable Care Act, the U.S. tax code grew to be 71,684 pages long, which works out to be an average exponential rate of 3.0% per year. Meanwhile, from 2009 through 2013, federal spending has increased at an average annual rate of 3.0% per year, while the total national debt has risen at an average annual rate of 10.8% per year. None of those figures should be regarded as achievements….